We have two learning spaces: blue and purple room. In the blue room, Mrs. Gregory teaches all subjects (except for Music) and Mrs. Wolsey is her educational assistant. In the purple room, Miss Manicom usually starts the day with Math or Science. She also teaches phys-ed and music. Mrs. Hodges-Payne (Mrs. HP) teaches humanities (Language Arts and Social Studies combined) as well as PhysEd, Art and Health. Mrs. Martin and Mrs. Maciborski are the educational assistants in the purple room. Students in both classrooms have the benefit of working with all the teachers. (And the teachers have the benefit of working with all the grade five students!). Other adults on the teaching team include Mrs. Weis, Mrs. Thorson (library) and Mrs. Goddard (computers). 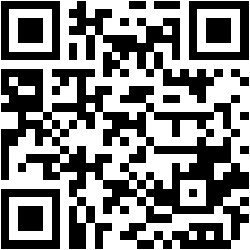 Down below is a QR code-you can scan it into your Smart phone and then it will bring you to this website!